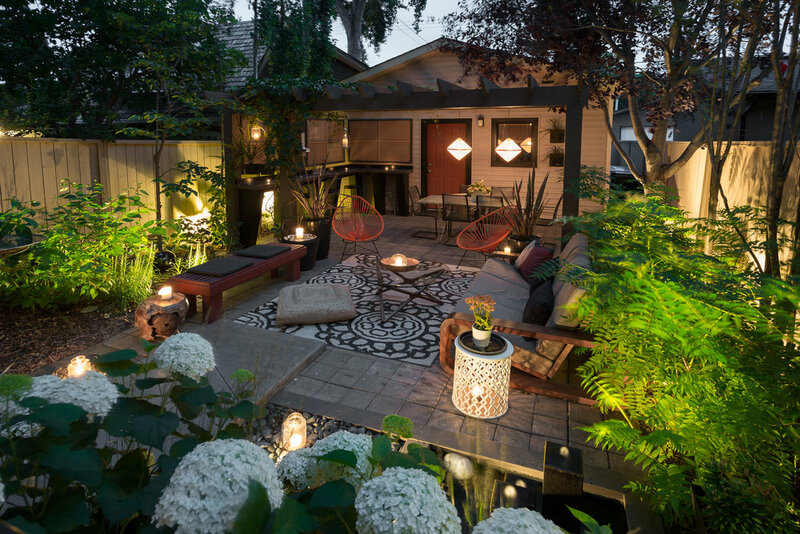 Challenge: To create a private calm oasis in the heart of the inner city that allowed for the client’s love for Japanese gardens and mid-century style. Approach: Architectural elements and simple textures needed to align visual structure, allowing for plants to grow in harmony with order. We worked with a landscape designer to create the bones of the outdoor space and select plants, while Studio A Interiors designed the architectural elements like bamboo/cedar wooden screens, a pergola, a concrete bar and “bridge,” as well as a calming pond. Result: A modern take on Japanese style, combined with mid-century elements, all surrounded by nature, makes for a true escape from the city.